Practical and Meaningful – two very important traits of a good Mother’s Day gift! Another would be Easy…know, easy enough that the Father’s can help the children with it 🙂 Free Printables where its at! My amazing friend Jac whipped up this awesome printable 🙂 The great thing is you can use it in a couple different ways! Print it off and have your little one write a note or draw a picture in place of a card. Or you can print it off, frame it and your kids can change up their notes and tell Mom just how much they lover her when ever they want! All you have to do is Right click – “Save As” – and print as needed! What are you doing to Thank your Mom for all she does this Mother’s Day? Super cute! I love the bright colors. This is lovely, Jennifer! Easy and yet still heartfelt. Moms will love it! 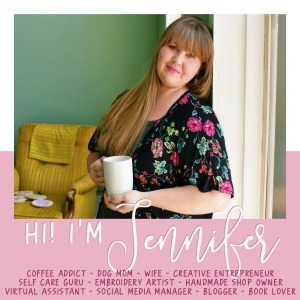 Super neat idea, Jenn! I am sharing it on my Mary & Martha page! 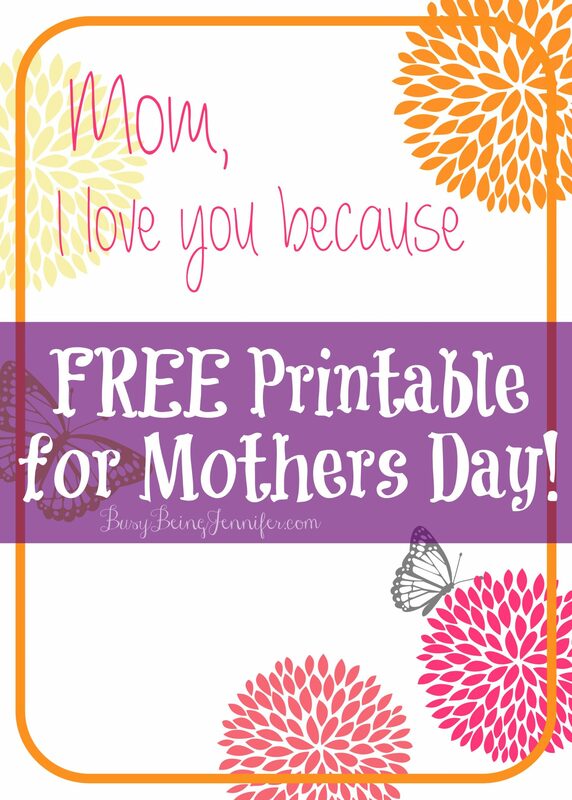 What a nice printable for Mother's Day. I'm going to print one out for my mom. Love this! I could even print it and leave it for my kids to fill out! !